care. All recreational and competitive runners deserve to experience how Chiropractic care maximizes training, performance, and recovery. corticospinal excitability helped athletes gain an edge over their competitors. Utilizing Chiropractic spinal adjustments as part of training also enabled athletes to train harder and with greater strength and precision. 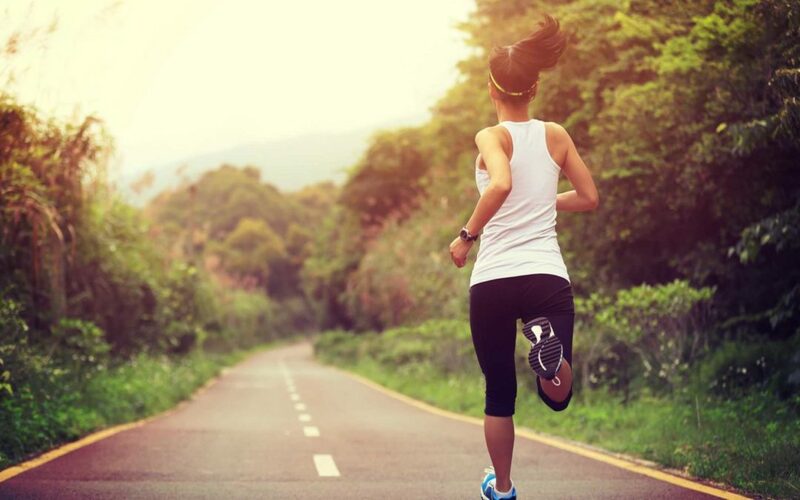 Chiropractic care helps runners in a multitude of ways. The component that the majority of athletes and coaches understand involves the improvement of motion and biomechanics. Chiropractic adjustments improve motion in the spine and joints, increasing the ease of movement and efficiency of body biomechanics. Greater mobility and range of motion minimizes the risk of injury within the muscles, ligaments, and tendons during training and on race day. Chiropractic also improves postural and spinal alignment. The improvement of alignment minimizes unnecessary wear and tear on joints like good axel alignment on a car. Research also indicated that Chiropractic care maximizes muscle strength and corticospinal excitability. This means that an adjustment improves the amount of electrical activity from the brain to the body by improving alignment and movement of the spine. The increased electrical activity produces greater strength in the muscles of the leg. The spine maintains an intimate relationship with the brain and central nervous system. Proper alignment and movement help maximize the function of the spine and nervous system. The rigorous training involved with daily running creates a need for routine nervous system maintenance. Wear and tear on the spine and body biomechanics from hitting the pavement necessitate proper care for the spine and posture. The most foundational aspect of training involves the body’s ability to continually work, recover, and improve on the previous day, week, and month. Passionate runners deserve every opportunity to maximize training and recovery while limiting the risk of injury. Healing and repair between long runs or short bouts of intense training require the body to be functioning at optimal levels. Key components like nutrition, sleep, and running biomechanics become more enhanced and productive when combined with Chiropractic. Running for recreation or competition become metaphors for longevity and endurance on both the track and in real life. Chiropractic offers the opportunity to not only perform at peak levels but also maintain a long-term lifestyle that allows runners to maintain their passion and their health into advanced age. Whether training for a race or for the long-term life experience, Chiropractic helps finish the race well. Eur J Appl Physiol. 2018 Apr;118(4):737-749. doi: 10.1007/s00421-018-3799-x. Epub 2018 Jan 11. Christiansen TL1,2, Niazi IK3,4, Holt K5, Nedergaard RW5, Duehr J5, Allen K5, Marshall P6, Türker KS7, Hartvigsen J1,2, Haavik H5.